The new GE620DX laptop has a 15.6 inch (1366×768) LED backlight display and mentioned Intel Core i7 processor which supports Intel Turbo Boost 2.0 and Quick Sync Video. Inside there’s also up to 8GB of DDR3 RAM, 320/500/750GB of storage space and GeForce GT 555M discrete graphics card with 2GB of display memory, backed by MSI GPU Boost technology which automatically switches back and forth between the discrete graphics card and the graphics chip. Connectivity includes Gigabit LAN, 802.11 b/g/n WLAN, Bluetooth v2.1 + EDR, and for hooking up your peripherals, there’s also two USB 3.0 ports, one USB 2.0, plus multimedia card reader. An HDMI and VGA are there too, outs ff you want something bigger than a high definition computer screen. 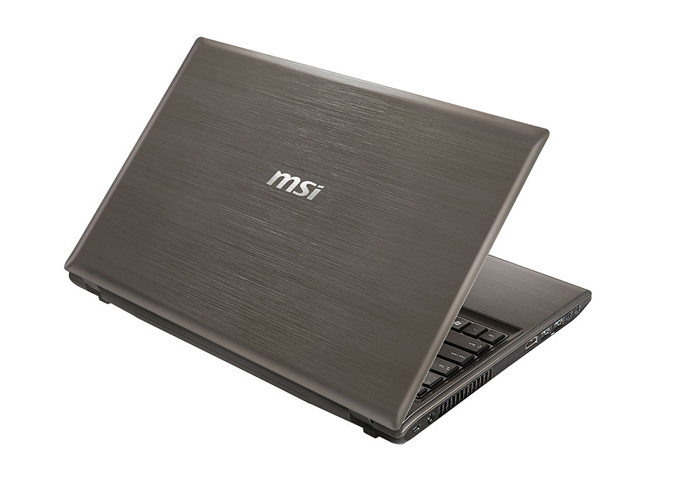 The GE620DX also comes with MSI’s Premium Sound paired with THX TruStudio Pro smart surround sound technology for “realistic multimedia experience.” The laptop measures 383(L)x249.2(W)x32.5(H), weighs around 2.4kg and also include a 720p webcam, Blu-ray or DVD Super Multi drive and 6cells 4400 mAh battery. MSI didn’t say when the laptops would reach stores.